Sony Xperia phones are not the most popular in the U.S. and there are a number of reasons for this statistic. While many people bemoan the boring design of Sony Xperia phones coupled with their steep prices and lack of carrier support in the U.S. as the major put-offs, there’s another group that simply skips all Sony phones because of the fingerprint scanner issue. As you may all know, every Sony Xperia phone that is sold officially in the U.S. comes with a disabled fingerprint scanner, at least since Sony started selling unlocked models in this market. After the Xperia Z3, the company has never sold a phone in the U.S. through carriers. According to Sony, in order to continue selling in the U.S. without going through carriers, it had to make a “business decision” that would see no Xperia phone step on American soil with an enabled fingerprint scanner. Of course, there are workarounds for this, but the hassle involved might not be something average users want to deal with. Weird as it might look, this is indeed the case. There have been several theories trying to explain this mystery deal that Sony made, but it’s said to be something to do with copyright issues regarding having a side-mounted fingerprint scanner on top of the power button. If this is indeed the case, the latest developments could imply that Sony fans in the U.S. might just be in for a treat. Prior to today, we had seen an image alleged to be of the Sony Xperia XA2 Ultra. The image showed off a rear-mounted fingerprint scanner and today, even more images and 360-degree videos of not only the XA2 Ultra but also the smaller XA2 and the Xperia L2, the successor to the L1, have appeared online. Apparently, all three phones will come with a rear-mounted fingerprint scanner, which is unusual for Sony phones. When it first unveiled a phone with a side-mounted fingerprint scanner, Sony defended its decision by claiming that this is the most convenient location because usually, people tend to hit the power button when turning their devices’ display on and off. 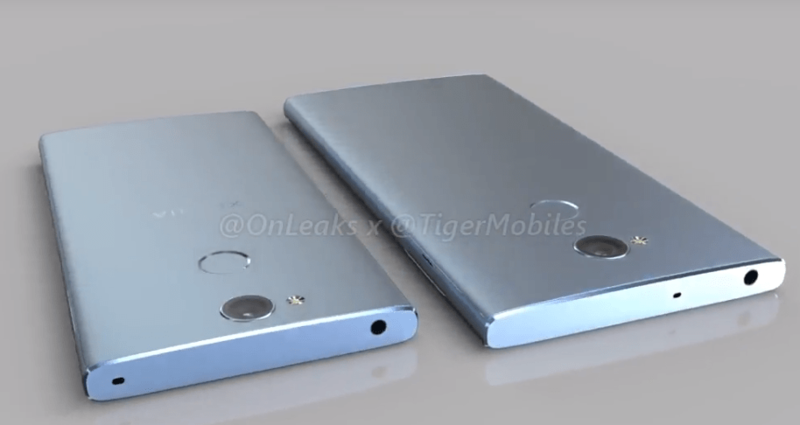 Whether this shift to a rear-mounted fingerprint scanner will also be felt across other (mostly premium) Sony Xperia phones is still unknown. Furthermore, whether this change also means Sony fans in the U.S. will finally be granted one of their greatest wishes is also unknown, but we are being optimistic that Xperia phones that’ll be sold in the U.S. this 2018 and beyond may come with the fingerprint scanner enabled out of the box. I mean, other OEMs have the scanner on the back, it just can’t be Sony that isn’t allowed to sell phones in the U.S. market with a fingerprint scanner anywhere on the devices, can it? Note that this is pure speculation and not an official communication from Sony, so don’t get your hopes too high. But still, would you finally buy a Sony Xperia phone in the U.S. if it came with a working fingerprint scanner out of the box, even if it means on the back panel or will other factors still play a huge role in your decision? Let us know your thoughts in the comments section below.